If you are thinking of a getting a degree that will still be relevant in the next few decades, then you should look at physiotherapy. If you are passionate about wiping away tears from the eyes of people, compassionate and patient then becoming a physical therapist may just be for you. Physiotherapy is focused on helping people regain, maintain and improve mobility and functional independence. This involves the treatment of pain, strengthening weak muscles and improving joint mobility. In other words the overall wellbeing of the patient in the priority of the physiotherapist. Canada is one nice country to study physiotherapy as there is a great demand for physios and the Canadian system favours Canadian trained therapists. Having a Masters degree can also be an added advantage who want to get better jobs. Successful completion of the Prerequisite Requirements including Physics, English, Anatomy, Psychology, Statistics and Human Physiology. Applicants are required to achieve a minimum of a B (72%) or equivalent in each prerequisite course. Completion of a four-year baccalaureate degree or its academic equivalent from an accredited post-secondary institution is required. Minimum GPA of 3.0 on the University of Alberta 4-point grading system or an equivalent standing from another recognized institution is required. However, a GPA of >3.6 for Alberta applicants and >3.9 for out of province applicants on the most recent sixty credits of study is recommended for a competitive application. English (3 credits) General course with assessment of reading, writing, literature and essay composition. Can be introductory level.Humanities or Social Science courses will not be accepted in lieu. Business Communication and Technical English courses are not acceptable. Statistics (3 credits) General course covering basic statistical concepts and data analysis. PTHER 352 is one option. Human Physiology (6 credits) Must focus on HUMAN physiology. Human Movement (3 credits) PTHER 351 is the recommended course. Alternatively, if you are a foreign trained physiotherapist interested in working in Alberta, and you have been Credentialed you may consider their 12 Month Bridging program. The Bridging Certificate program is designed for physical therapists educated outside of Canada whose physical therapy education and qualifications have previously been assessed by the Canadian Alliance of Physiotherapy Regulators (The Alliance). This 12-month program, offered in a blended format, consists of five courses: two academic courses, two concurrent mentorship courses, and one clinical placement course. The Bridging Certificate Program operate in the cohort model with one-intake per year, and all students are required to complete all five courses. Canadian citizenship or permanent resident status at the time of application. An accredited 3 or 4 year undergraduate degree in any area of study, recognized by the University of Manitoba. A minimum grade point average of 3.25 in the last 60 credit hours* of university-level study. Equivalent IB and/or AP courses will be accepted in lieu of prerequisite courses. Successful completion of the Multiple Mini-Interview. Admission is very competitive as only 57 students are admitted each year. Two standard letters of reference (ORPAS Confidential Assessment Forms).One Confidential Assessment Form must be completed by an individual who holds an academic faculty position in a university, who has taught or supervised the applicant, and who is qualified to judge the applicant's academic ability relative to a number of other students. Positions such as a teaching assistant or athletic therapist/trainer do not qualify as academic referees.The second Confidential Assessment Form must be completed by a professional who can judge the applicant's performance and interpersonal skills from his/her perspective as a physical therapist, employer or someone who supervised the applicant working with persons with special needs.It is recommended that neither of the Confidential Assessment forms be submitted by either relatives or friends.Letters of Reference that elaborate on the applicant's unique and exceptional qualities are valued. Applicant will be asked to provide a brief description (maximum of 4 activities) of any other relevant activities that provide evidence of their involvement and leadership in increasing the well-being of individuals, groups or society in general. 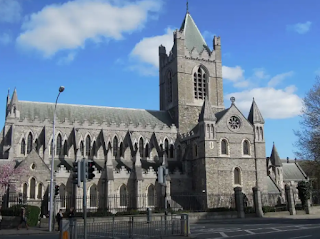 Information outlining honours, awards and scholarships the applicant has received to date may be submitted as part of the application (maximum of 4 entries). 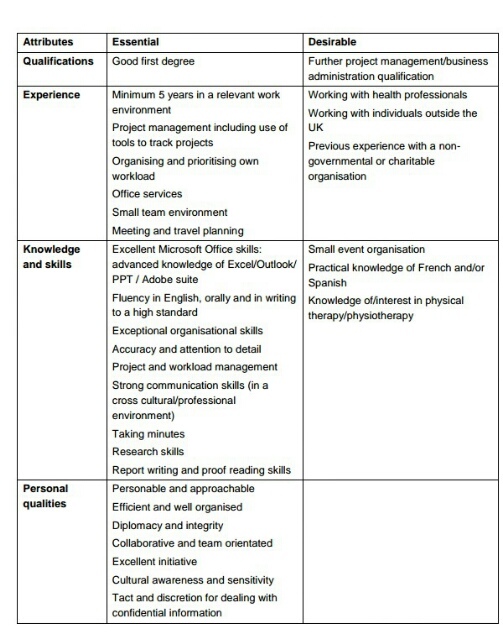 Applicants whose first language is not English must provide evidence of English-language proficiency; the TOEFL or an IELTS is recommended.A minimum TOEFL score of 620 (paper‑based), 105 (internet‑based), or an IELTS score of 8 is required.If, after admission, the applicant shows inadequate command of spoken or written English, they must improve their proficiency to the satisfaction of the School of Physical Therapy.They may be asked to withdraw from the program if their command of English interferes with their ability to provide quality professional services.NOTE: Test results must be sent directly to Western University. Shockwave therapy (also known a ESWT : Extracorporeal Shockwave Therapy) is used in various medical disciplines including orthopaedics, physiotherapy, urology, sports medicine and veterinary medicine. The use of this therapy for musculoskeletal disorders has been on for over a decade. The success rate of this therapy, according to research, ranges from 65% - 95%. A shockwave is an acoustic wave which carries high energy to the tissues resulting in accelerated tissue repair and cell growth with minimal scar tissue production. Shockwaves are high intensity, high frequency, short duration bursts of energy waves that are faster than sound. The fixed part of the device generates shock waves which are then transmitted by the system’s probe. The generated waves are introduced into the body through the system’s probe and cover the area to be treated. Mechanical vibrations from the probe produce kinetic energy which is then converted into acoustic energy transmitted to the tissue. The application of acoustic waves causes microrupturing of the capillaries in the tendon and bone (which they are directed) thereby remodelling and stimulating the growth of new arterioles. The production of new blood vessels in the tendons and bones result in accelerated healing. Shockwaves activate mast cells (key components of the inflammatory process) and the production of cytokines which are growth factors secreted by the immune system. This results in first, the enhancement of the inflammatory process, then restoration of normal healing and regenerative processes. Shockwave therapy accelerates procollagen synthesis. The therapy forces the newly created collagen fibers into a longitudinal structure which makes the newly formed tendon fibers more dense and stiff and creates a firmer structure. Shockwaves break up the sticky calcium deposits on tendons and promote the absorption of the calcium granules while treating the tendon. 5. Dispersion of pain mediator "Substance P"
Shockwaves reduce the concentration of "Substance P" (that relates pain messages to the central nervous system) which results in pain relief. Most experts recommend 3-5 treatment sessions, with each session spaced by a week. Application of shockwave lasts 3-5minutes and improvement can be felt by the patient immediately after the treatment. Some may feel sore or experience inflammation within 24hrs of treatment, but that should pass. Whilst not intended to constitute a definitive list, there are several areas/pathologies where concern has been expressed with regards the use of shockwave, and until further clarification has been obtained, some of the key issues are identified below. This list is compiled from the best (currently) available evidence and expert advice/opinion. It may be that this is an over conservative approach, but as with many 'new' or 'emerging' therapies, it is normal to err on the side of caution in the initial stages of clinical application. Patients who are haemophiliac or who are on anticoagulant therapy are best not treated with shockwave given that some visible tissue damage (skin petechiae and disruption of the microvasculature) has been noted in several studies. Malignancy remains on the contraindication list, though, as with other modalities, some experimental work is ongoing whereby shockwave therapies are being employed to try and minimise the growth and spread of malignant tissue. Given the unknowns at the moment, it is considered best to avoid such areas.Metal implants appear to be OK with regards bone based treatments, but implanted cardiac stents and implanted heart valves have not been fully evaluated. If however, one is avoiding the lungs, then they should not be exposed anyway. Infection in the local area should be treated with strong caution given the as yet unknown effect of the therapy in this field. Joint replacements - interestingly - come up with a mixed result. Some have used the therapy experimentally as a means to help with the removal of prostheses, making extraction easier. Given this, it would seem wise to avoid cemented implants. On the other hand, it is suggested that several researchers have actually used shockwave as a means to stimulate bone growth around an already lose prosthesis (osseous ingrowth). It would seem prudent to avoid the area given the possible loosening effect which, unless desired, would certainly constitute a detrimental outcome. Norway seems to be one interesting European country to study, work and live so practising physiotherapy should also be attractive (well that depends on your preferences). Even though you'll find quite a number of Norwegians speaking English, it is advisable to pass a proficiency test before applying for authorization. 1. Pass a proficiency test. You are required to pass a Norwegian language test at level B2 (Common European Framework of Reference of languages, CEFR). Both the oral and the written exam must be passed. 2. Apply for authorisation with the required documents to have your education considered equivalent to the corresponding Norwegian education. The form for applying for authorisation and licence as a physiotherapist/health personnel in Norway may be found in the Norwegian form portal Altinn. All documents required for the application for authorization should be scanned coloured copies of your original documents. Your transcript/ a detailed overview of your curriculum. • The theoretical content must be stated in the learning objectives for each individual subject. • The scope of each subject must be expressed in either ECTS or the number of hours for each subject. • The number of work placements or clinical practice studies with each period's length, objective, venue and evaluation results must be stated. • List of institutions where your practical training experience is conducted. The curriculum must be valid for those years the applicant studied, e.g. if you studied from 2010–2015 the curriculum has to cover those years. • The curriculum also needs to provide detailed contact information to the educational institution. Authorization from the country the applicant graduated from and/or the country you have worked in. If your profession is not regulated in the country you have graduated from, or worked in, please inform about this. Detailed work certificate showing where and what you have been working with. All attachments should be scanned color copies of original documents. - Please do not take photos of documents and attach them since photos are often hard to read. - Please make sure documents are rotated correctly. - When scanning documents with multiple pages, please scan all pages to the same document. contain information about the reference number (AR-number) given by Altinn. 3. If your qualifications are considered equivalent, or are otherwise proven to possess the necessary skills, you then can proceed with your application for authorisation. 4. You will also be required to complete and pass additional courses on Norwegian health services, health legislation and society before authorisation can be granted. To apply for authorisation, you must pay a processing fee of NOK 1,665 ($195.87). Any costs related to the transfer must be covered by the applicant. This is the digital age and more hospitals and clinics are taking advantage of available technology to facilitate and upgrade their services and operations. Case notes are now electronic and many have done away with paper data. TM2 Healthcare Solutions is a provider of Practice Management Software and an Australian based company that owns the sole distribution rights for the TM2 Practice Management Software across Australia. TM2, is a Complete Practice Management and Clinical Notes software application designed to improve efficiency, reduce costs and enhance profitability. Easy access to appointment history, account/billing status, current or previous cases history, communication trail, special alerts, associated contacts, default practitioner, and much more. You can also scan in old paper based documents, x-rays and images then store them electronically. The TM2 Clinical Notes is touch PC tablet friendly; physiotherapists can hold the PC tablet and make notes while interviewing the patient. TM2 finance and billing management is provided through quick and easy accounting features allowing complete control with each patient having a manageable account listing payments, invoices and receipts. TM2 allows you to report on almost every façade of your business such as; appointments, practitioner's case loads, practice income, practitioner commissions, diary utilisation, income by practitioner and enquiry source. If the report you need isn't available you can commission your own. 2. GPM (Gensolve Practice Manager) is a cloud based practice management software. 1. You can access your information or account from anywhere. 3. Electronic patient and clinical records. Gensolve Practice Manager has integrated an industry leading accounting package into its software application, to further ensure this practice management software is a solution as comprehensive for your practice as it can be. Easily and quickly send out special offers, birthday wishes, or contact clients that have not been seen recently. Efficiently manage Clinician working hours: Easily set up your Clinicians’ normal working schedule, leave periods and staff meetings. Multi-site configuration: Configure Clinicians to work across multiple sites, maintaining a single consolidated view for each Clinician’s availability. Task manager: Using the in-built Task Manager, practices can easily assign tasks and actions to the appointment book or clinical notes, saving on time and creating more efficient patient follow up. Waiting room: Track a patient from the time they arrive in the practice until they leave and share this information in real time across your practice. Cancellation and no-show management: Monitor no-shows and cancellations and link the information to patients’ files.SMS reminders: Send SMS Reminders of appointments in bulk to clients. WriteUpp is a time-saving, cloud-based practice management software specially designed for health and wellbeing professionals. 1. Create your own customised assessment forms using a simple form builder, then use them in any care setting on mobile, tablet or web. 2. Patient records: Create, manage and search your client records in one secure location safe in the knowledge that your data is being backed up every hour. Enable your clients to book online from their desktop, tablet or mobile. Generate branded invoices quickly and easily based on clinical activity and expenses incurred. Quickly log client related expenses, such as mileage, or items that you have supplied to clients during their treatment, like taping, using the WriteUpp app or the web-based version of WriteUpp. 1. Don't hold your smartphone close to your face. It is advisable to hold your gadget about 15 to 20 inches away from your face. 2. Adjust your screen brightness. I totally reduce my screen brightness (down to zero) and it works just fine with me. Some browsers and apps also have "night mode" you can select to reduce eye strain. 3. Staring at a screen for quite a while keeps you from blinking, which is the activity that helps lubricate the eyes. To prevent yourself from dry or red eyes from tablet or smartphone usage, consciously blink as often as you remember. 4. Take regular breaks of your phone or tablet. You can't just keep staring for hours at the screen. Take your eyes off and look at distant objects. Drop your gadget and spend some time relaxing with your eyes closed. Or just get up and do something else! 5. Some say they take Vitamin A and yeast supplement for eye strain they feel after staring at the screen for long periods. But I don't think that will be necessary if you follow the above four tips. I haven't tried any of those supplements and besides always consult your physician before you try any supplements. Physiotherapy exercises is a website that contains over 1,000 exercises that physiotherapists can use to create an exercise program for patients with injuries and disabilities. The contributors to physiotherapy exercises are physiotherapists in Sydney, Australia. The various exercises featured on the website are for the purpose of improving flexibility, strength, restoring normal function and fitness. Physiotherapy exercises makes it seamless for the physiotherapist to create and prescribe an exercise program online. All you need to do is search for the exercise. The website is free of charge to all users and you have the opportunity to donate to help keep the good work going. - Do not remove and use the illustrations for purposes other than preparing exercises for patients with injuries and disabilities. - Always acknowledge the website and place the URL (physiotherapyexercises.com) on every exercise program produced. This website is a great online tool that modifies the way physiotherapists do their job and also help maintain the quality and uniformity of physical therapy delivered. All you need to do is search for exercises according to your patient's condition, develop an exercise program and send it to their mobile phones or tablets. Reflexology is not just massage of the feet. It involves applying pressure to parts of the feet or "reflex" areas that sort of represent various organs in the body. Eunice Ingham was a physiotherapist who originated, researched and developed reflexology as it is known today. She developed her zone and foot therapy in the 1930s. She passed on at the age of 85, December 1974. The tips of the toes are connected to the head. The arch of the foot is connected to the liver, pancreas and kidney. The ball of the foot is connected to the chest and heart. The heel is connected to the lower back and intestines. When you think about what reflexology is you wonder what the benefits really are. It is believed that applying pressure to these areas of the feet and sometimes hands promote the health of the corresponding organ. The pressure applied sends signals that cause the release of endorphins which relieve pain and stress. Always consult with your physician before trying anything new, including alternative therapy like reflexology. A typical treatment session ranges from 45 - 60 minutes. And you should feel better and not worse, as the therapy progresses. The World Confederation for Physical Therapy is an international professional association representing the physical therapy (physiotherapy) profession. Founded in 1951 it is a UK Registered Charity and its members are 112 national physical therapy associations. WCPT is looking for two professional advisers to work with the team on a range of projects that support the development of high quality physical therapy practice and education. The position is a key part of the organising team for Congress 2017 in Cape Town. The Congress has an extensive scientific programme spread across a range of forums including symposia, discussion panels, seminars, poster displays, courses and platform abstracts. This role will provide management support to the International Scientific Committee by organising the content and scheduling of sessions, operational logistics and other tasks as required. The Professional Advisor is an acknowledged leader within the physical therapy community who is able to demonstrate a commitment to supporting the development of the global physical therapy profession. They will be an innovative and creative individual who focusses on solutions not problems. The individual will need to be a well organised, hard-working and flexible. An understanding of the role that WCPT plays internationally is a key requirement as is the ability to undertake some international travel. The salary is £40,000 with 5.6 weeks' paid leave per year (pro rata for part time role). To apply send a letter of application, maximum 2 pages, setting out your interest in the position and addressing how you meet the person specification and requirements of the position. Submit this with a copy of your curriculum vitae, maximum 4 pages, to info@wcpt.org by 16 January 2017. To discuss this role further please contact Jonathon Kruger, Chief Executive Officer atjkruger@wcpt.org or +44 (0)20 7931 6465. WCPT is an international professional association representing the physical therapy (physiotherapy) profession. Founded in 1951 it is a UK Registered Charity and its members are 112 national physical therapy associations. This is a new role that will be instrumental in facilitating the smooth running of WCPT and managing the work for the CEO, President, Board and key committees. The position is instrumental in assisting the smooth running of WCPT and managing the work for the CEO, President and Board and key committees. You will use your project management experience, initiative, confidence and organisational skills to support the organisation. You will provide coordination, leadership and administrative support to a variety of projects and activities related to the operation of the organisation and the services provided. These include the governance requirements of the organisation, operational logistics and WCPT congress. This will require liaising with staff, member organisations and Board/Committee members. 1.1. Scheduling of all Board and supporting Committee meetings both via teleconference and face-to-face. 1.3. Preparing papers for meetings, including formatting for house style and editorial work. 1.4. Taking minutes at some meetings. activities on Teamwork® (project management software) and their ongoing management. 2.2. Work with the CEO and Board to develop project plans for new activities arising from the strategic and business plans. 2.3. For all WCPT activities ensure a focus on key performance indicators is implemented. suppliers is delivered to timescale and within budget. 2.5. Ensure WCPT and Congress risk assessments are completed to agreed timelines. 2.6. Assist with administrative management of external relations, including setting up a tracking log that can be maintained and updated. 2.7. Assist with congress related activities as directed by the CEO/Director Professional Policy. 3.1. Support in organising and making appointments or scheduling meetings for the CEO, President and Board members, including supporting preparations. 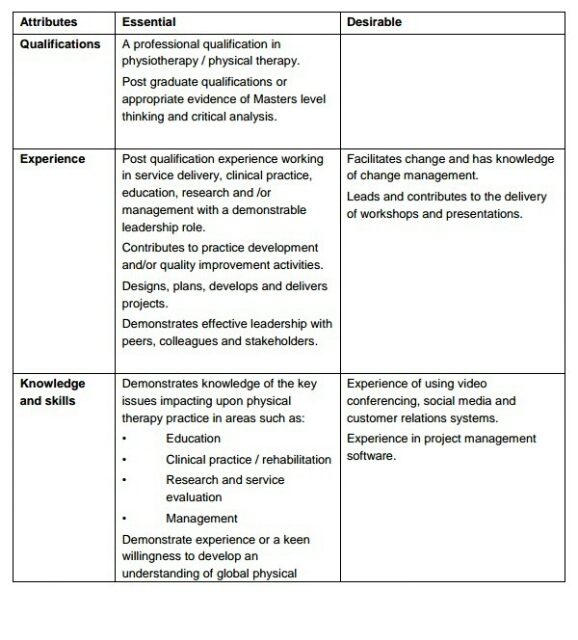 requirements for those representing WCPT. 3.3. Carrying out background research to support initiatives and presenting findings. 3.4. Preparing presentations in support of activities. 3.5. Liaising with member organisations, regions, subgroups and networks as required by the CEO. 3.6. Management of general enquiries. 3.7. Maintenance of office systems, including data management and filing. 3.8. Maintaining office manuals, including office procedures and staff handbook. 3.9. Promote the image of WCPT in all activities and contribute to the overall development of the organisation undertaking any reasonable duties, as required and agreed, to support the work of WCPT. process in liaison with the Professional Adviser. 4.3. Prepare accreditation report templates for review team members. 4.4. Receive review reports from the review team members. 4.6. Coordinate review team visit arrangements, including travel and accommodation for members of the review team. 4.9. Check applications are complete, follow up outstanding items and send completed applications to reviewers. 4.10. Liaise with office staff to prepare certificates for both services. 4.11. Maintain the accreditation activity schedule. The salary is £30,000 with 5.6 weeks' paid leave per year. Please contact Jonathon Kruger, Chief Executive Officer jkruger@wcpt.org to clarify any details. If you are a physiotherapist seeking employment in the UK you may need some professional help. If you've tried everything you know to get a physiotherapy job in the UK or Ireland, and you don't mind working with an employment or staffing agency, you may look at what Monroe Medical has to offer. Monroe Medical is a registered provider of adaptation training – the missing requirement by HCPC. - Supervised practicals and academic allowing you to work for completion within your own specific time frame. - Flexible solution to the above requirements - programs can be part time or full time or tailored to suit your needs. - A distance learning course to save you time and expenses. - Intensive practical sessions to maximise successful completion leading to adaptation. A UK registered and HCPC approved physiotherapist will assist you throughout the entire process. They also offer advanced MSK Training for physiotherapists especially for those who have no UK experience or have gaps in their career. The aim of the programme is to provide a rewarding educational experience that enables you to develop professional and clinical physiotherapy skills. 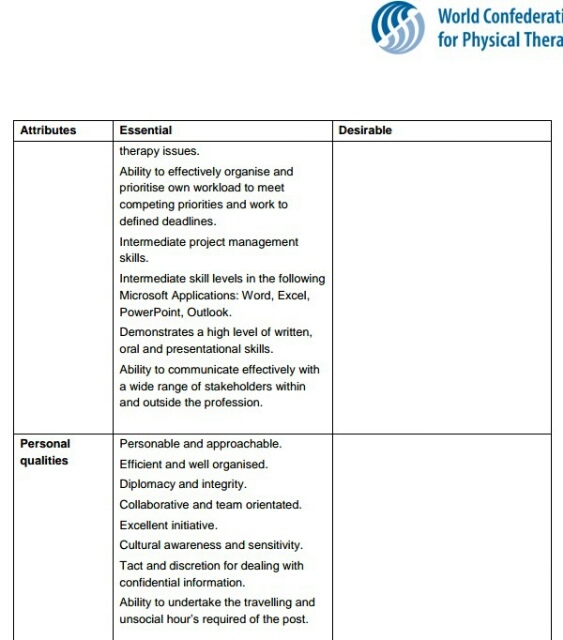 If you are interested in working in the UK as a physiotherapist, it is important to know what is required of you. What exactly is the scope of physiotherapy practice in the UK and what are the required standards?